Excited is an understatement to describe how the Irrungadji community members were to exhibit their art at the Return to Country exhibition facilitated by Terra Rosa CRM in early July. Since going out on country to start the project in May, they had now completed even more artwork and were keen to exhibit these. It was fascinating to see how motivated everyone was to be involved in the art workshop and the opportunity to exhibit their art in the community. The ‘vibe’ of the community was different to last time we were there for the arts workshop; it was wonderful to see how excited people were about this exhibition taking place. Artist Annabell Landy said people were positive about the changes occurring. 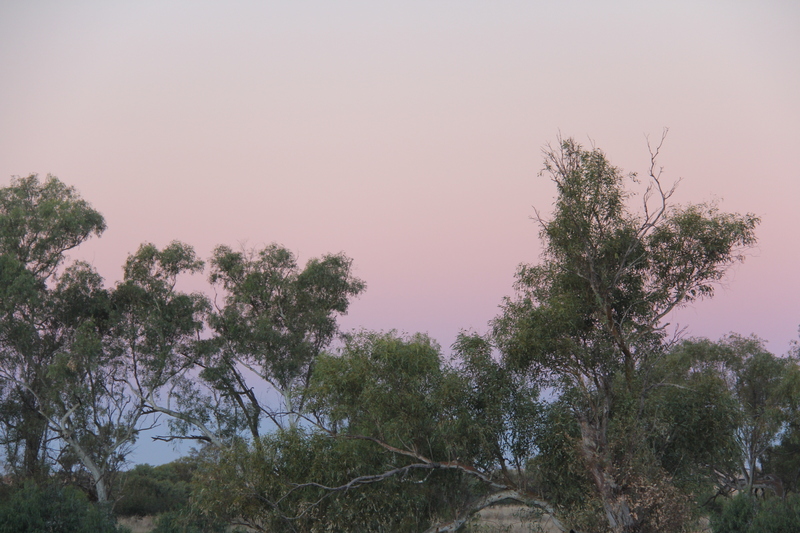 The Western Desert footy carnival was on the Monday after the exhibition and people from Jigalong, Kintyre, Punmu and Warralong were arriving and setting up camps all around the community. This meant that the people arriving for the footy carnival also had the opportunity the visit the Return to Country exhibition. The community house was set up for the artists to use as their workshop space as well as for the exhibition. The Terra Rosa staff involved were kept busy preparing the space for the exhibition and interviewing artists about their work. The opening had a great atmosphere with many people in attendance throughout the night. 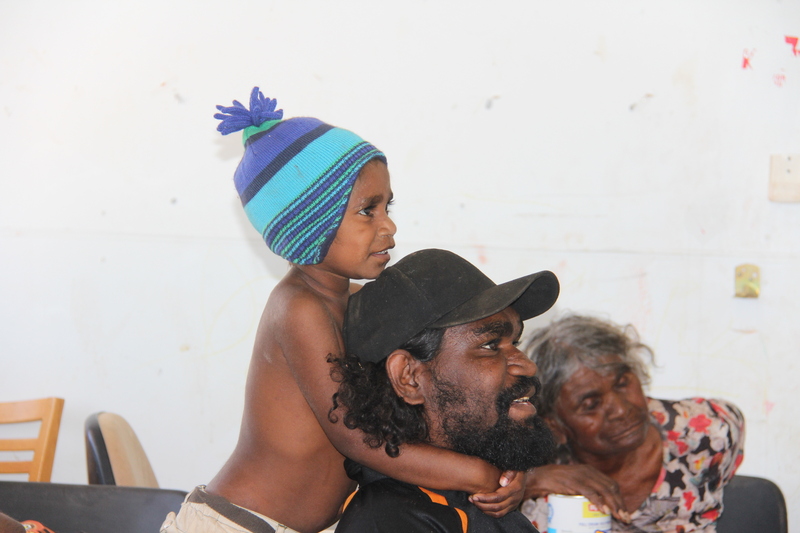 This included the Irrungadji community, members of nearby communities, the football carnival organisers, the Desert Feet Tour mob, and representatives from mining companies working in the surrounding area. We’d like to thank everyone who attended on behalf of Terra Rosa and the participants in the Return to Country project. A special thankyou to Catercare and Millenium Minerals for helping with the sausage sizzle which was very much appreciated by all! 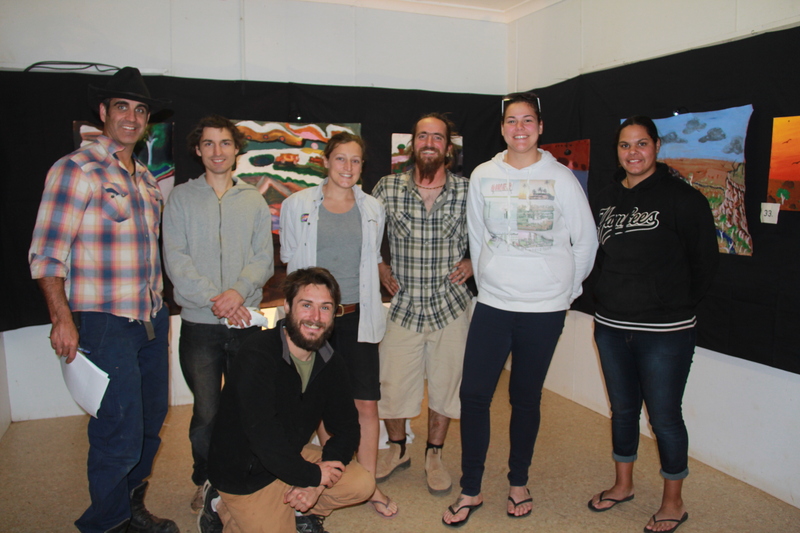 Showcasing their artworks and the video produced during the project was a great opportunity for the Return to Country participants and other artists in the community. Great pride was taken in what the community had achieved through this project being able to show it to friends and family from other communities made it even better. The community is keen to continue this success story and build on the community spirit of Irrungadji. There are many plans for the future and continuing with producing art is just one of them.